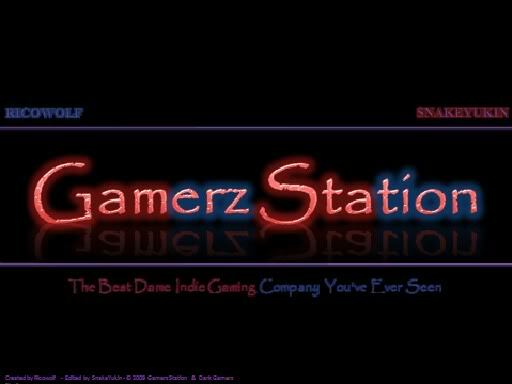 This has been a game I've been slowly working on for quite awhile, since Gamerz Station started almost. The title is called the Mystery of the Man Who Became a Pig which explains what the game is about. A man, turns into a pig, and you have to solve the mystery of who or what caused him to turn into a pig. Now, this game was designed for the, now dead contest, called the Game 1 Challenge. Mainly, that consisted of creating a game with one actor, one switch, one variable, and one map. Even though that contest is now dead, I'm still keeping that idea. This game is influenced mainly by Phoenix Wright along with my style of humor. You play as me, egotistical I know, who has just recently gotten invited to the manor of Sir Riley Holde to get some candy. Not that long after arriving, Sir Riley Holde turns into a pig and it's up to us (me and you the player) to solve this very weird mystery. Could it be the maid? The evil foreign dictator who was meeting with Sir Riley? The clown from the Clown Mafia? Was it me? Or Is it someone... or something unknown to us? A talk with the clown: one of the suspects. Entrance of Sir Riley Holde and Blantent Lee Viel. Why an organ over a piano? Sir Riley has just been turned into a pig: also, all three suspects. A bouncer protecting a room. A secret room. Can you find it on your own? Sneaking around in a box. I'm super sneaky. I have updated with pictures. Will have a demo in the coming week hopefully. New demo out and available. You can get it above or below. » Mystery gifts help with island quests!